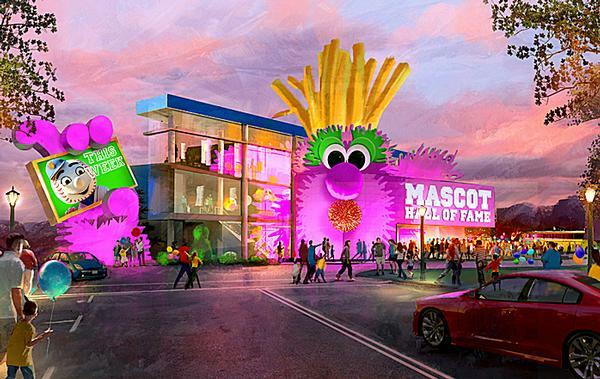 JRA is providing masterplanning, design, and project management for the Mascot Hall of Fame, located in Whiting, Indiana, US. Set to open in early 2019, this 25,000sq ft (2,300sq m), family fun zone aims to make people laugh and draw them closer to the teams they love, while educating families on the art and science of mascots. Offering permanent exhibits, activities, and plenty of fuzzy, feathery shenanigans, this whimsical attraction is expected to welcome 50,000 visitors each year. See this project and more at the JRA booth. 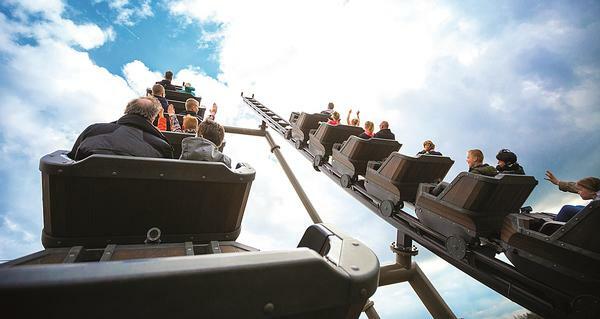 Zamperla is set to present new rollercoaster concepts at this year’s IAAPA, with new openings at Warner Bros. World Abu Dhabi and Wuxy Wanda Theme Park. 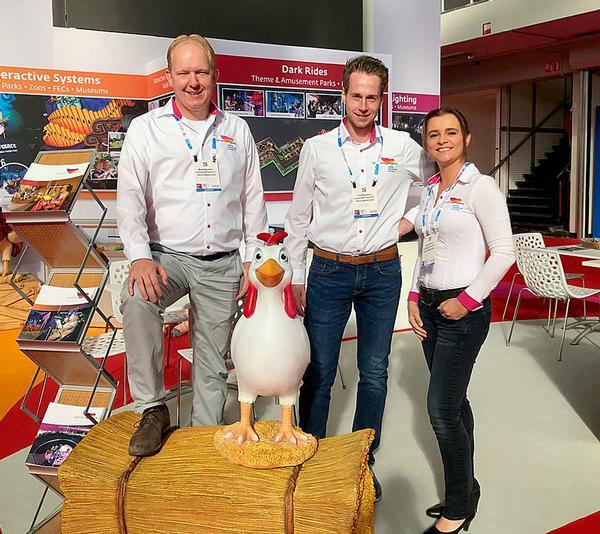 The other focus of the company is Z+ – the new business division of Zamperla born to create new experiences using the latest hi-tech developments applied to rides. A new VR Box is also coming, while a new version of Windstarz will be presented too. This eight arm version of the model is a more compact version of the ride and is perfect for malls and FECs. Every year, millions of people across the globe are delighted, thrilled and profoundly moved by the coasters and attractions that bear the Vekoma brand. Some of the world's most popular visitor attractions work with Vekoma to us to create unique experiences that move their business to the next level. Vekoma management will be on hand to discuss its biggest and brightest projects and everything it can do to help you boost your attraction. Holovis is ‘re-volving’ Flying Theatres by advancing this attraction format from a traditional passive lean-back experience into an active one that actually delivers true sensations of flying. 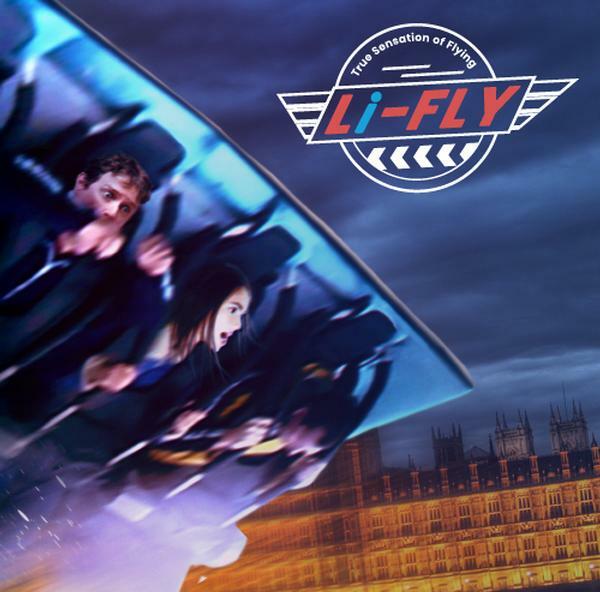 A uniquely developed 5-DOF motion system securely holds up to 100 guests tilted into a prone position before elevating them over a highly immersive, ultra-high-resolution dome screen to deliver the single most compelling and completely unique flying experience ever created. Simtec is presenting its ScreenFlite media information system under the name of Le Chandelier at Rome Fiumicino Airport. ScreenFlite puts ads, information and messages in motion, and is an kind eye-catcher for passers by. Twelve LED-displays are mounted on individual scissor arms, which are mounted on three horizontal rings. The three rings are stacked at the centre of the system and can be rotated jointly or against each other. 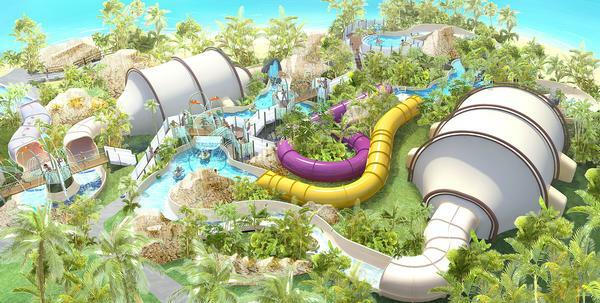 Huss Park Attractions GmbH has announced that the first project of its Explorer film based attraction will open at Cancun’s Riviera Maya in Mexico in 2019 at the new Amikoo Resort Destination Theme Park, currently being developed and scheduled to open next year. Presented at IAAPA, visit the Huss Booth to find out about all it can offer your visitor attraction. Stop by the CentreEdge booth to discuss your point of sale software needs. Offering the total package when it comes to software that drives your FEC or amusement park, CentreEdge has created an affordable, best-in-class solution to bring reliability, consistency and efficiency to visitor facilities, helping run your business smarter. iPlayCO and FEC Builders are global designers and manufacturers of fun indoor playground equipment and interactive play structures. Their latest installation is Ant World. iPlayCO also offer FEC development and turnkey solutions, and are showcasing their new Super Heroes booth featuring the cityscapes, turbo slide and a Tuff Stuff soft sculpted foam themed car. For the first time, Vortex International is introducing RiverQuest – a family adventure attraction that combines the thrills of traditional river rides and waterslides with multi-sensory dreamscapes. 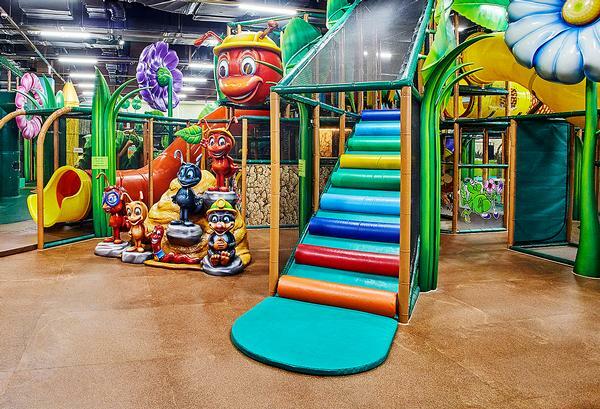 It offers multiple discovery routes, multimedia tunnels and stimulating passageways that maximise thrills in ways even young children will enjoy. Featuring a serpentine current that veers off into different paths, RiverQuest employs special effects and multimedia water-theaters to broaden family demographics and simplify theme integration. ADG successfully designed and built two of their Water Rides in 2018. In Ohio, the company opened their second Adventure Lagoon at Zoombezi Bay. Dubbed "Otter Banks", this project was the third expansion that ADG worked on for the park. Canobie Lake in New Hampshire chose ADG’s Tidal River water ride to be their anchor attraction for its waterpark expansion, along with a new slide tower, kids play area, and increased decking for lounge, cabanas and food and beverage outlets. Lagotronics Projects’ team has announced plans to open a new GameChanger attraction. 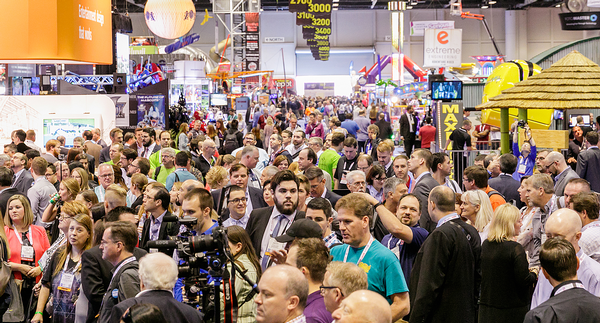 Coming to an FEC with an "amazing and well known IP" more information will be released as IAAPA approaches. At its booth, Lagotronics Projects will be showing a wide range of interactive experiences. From interactive dark rides for theme and amusement parks, to immersive interactive experiences for FECs and museums. Intamin’s record-breaking Rapids Ride “Infinity Falls” (see p58) successfully started operation at SeaWorld Orlando in October. Infinity Falls features roaring rapids, soaking fountains and a record-setting 12m (39ft) drop, all against the backdrop of a rainforest utopia. At this year’s show, Intamin will be presenting a number of new LSM launch coasters, family launch coasters, tower rides and several different water rides. The Producers Group (TPG) specialises in turnkey attractions, production management, technical design and content development for everything from small projects to entire theme parks. TPG creates attractions and guest experiences worldwide, maintaining a full-time, in-house staff of highly trained show producers, project managers, technical directors, technical managers, technical documentation support staff, and specialised designers of all disciplines. Visit TPG's booth to find out more about their services. Walltopia will debut its newest product in Orlando – Ropetopia Curves. It’s a next generation ropes course with an entirely new belay line that unlocks limitless design possibilities. Ropetopia Curves leads to a much higher throughput than the standard ropes courses due to its single-direction progression. The modernistic design also solves architectural problems with its easy implementation in otherwise unusable spaces with complicated footprint. Intercard will introduce its new Edge Mobile App Collection at the IAAPA. The collection includes the popular iService arcade management tool and new apps for card replenishment and inventory management. The iService app makes it simple to track and manage every game at one or more locations. 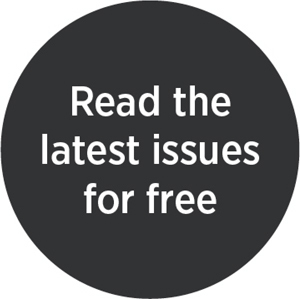 Users can remotely put a game out of service for maintenance and technicians can use it to track repairs and when the game was placed back into service. All information is automatically updated on the server and in the cloud. Triotech’s Team Battle is a first-of-its-kind high capacity dueling interactive attraction. This unique experience features two teams battling it out in an oversized multi-sensorial arena. 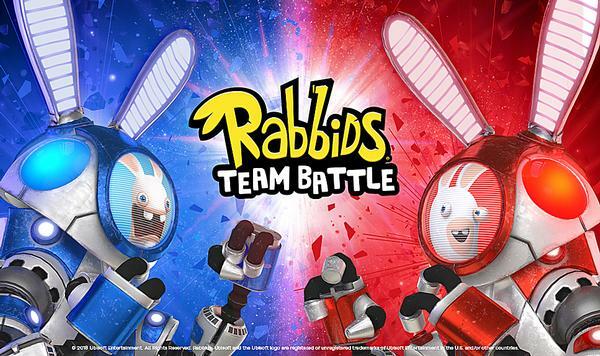 Team Battle is based on Triotech's award-winning XD Dark Ride Interactive theater. Using new technology and game-play design, the experience features both team and individual scoring elements which drive interactivity and provide high replay value. As a worldwide leader in providing turnkey theming solutions, Rocas & Design, is introducing its latest projects at this year’s IAAPA. In Middle East, “Angry Birds World” recently opened its door in Doha with great success. Rocas will also present the design and theming of "Island of Legends" in Sharjah and its participation in major project currently underway in Qatar. Penny Press Factory continues to supply its GEM penny press to theme parks and attractions around the world. The innovative Penny Press features contactless payment, internal token dispenser and wireless income reporting. The latest installation was at the QE2 in Dubai, UAE. Penny Press Factory are actively searching for distributors around the world. Come see Simex-Iwerks' flying 4D Vertical Experience demo and learn about the company's exciting new film partnership that combines new content with the thrilling sense of flight. Visit the Simex-Iwerks booth during this year's show to learn how you can bring these blockbuster titles to your visitor attraction.